There’s no better feeling than getting a smooth, clean shave, but this can be easier said than done. Some areas, like the chin and neck, can pose a bit of a challenge for even the most experienced wet shavers. 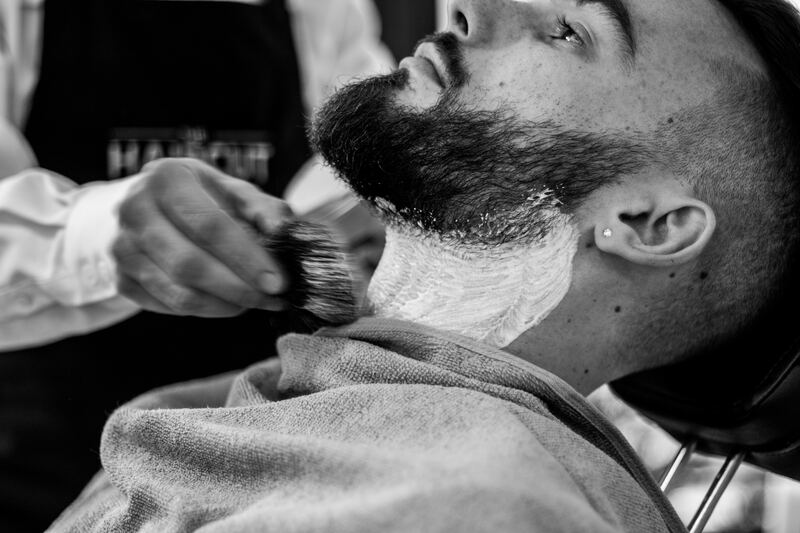 While these tricky areas will require patience, practice, and a bit of trial and error to master, there are steps you can take to improve the shave. 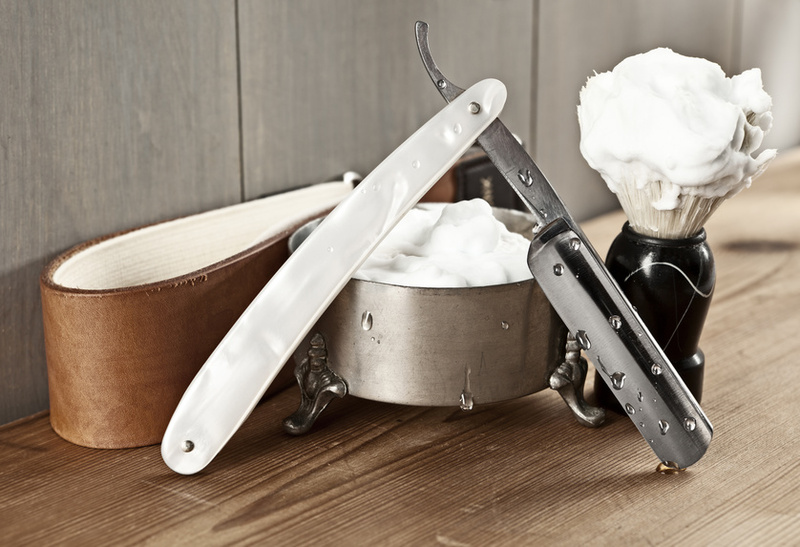 Whether using a straight razor or a safety razor, it’s essential to prepare your skin and hair with a pre-shave product. Once you reach your chin and jawline, hair will have had time to soften, making it easier to remove. 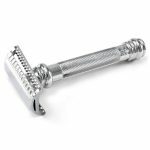 Similar to shaving other parts of your face, your razor should be kept at a 30-degree, without applying too much pressure, angle when shaving under the chin. When you’re ready to begin, gently tilt your head back and shave with the grain using short strokes. 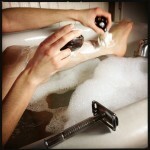 Shaving with the grain is strongly recommended, especially for newer wet shavers, to reduce the risk of irritation. Use your free hand to tighten and smooth skin, making it easier for the blade to glide across skin. Some also find biting the lower lip is an effective way to tighten skin and reach difficult areas. Once you’ve finished your first pass, reapply lather and start a complete another one to two passes if necessary. 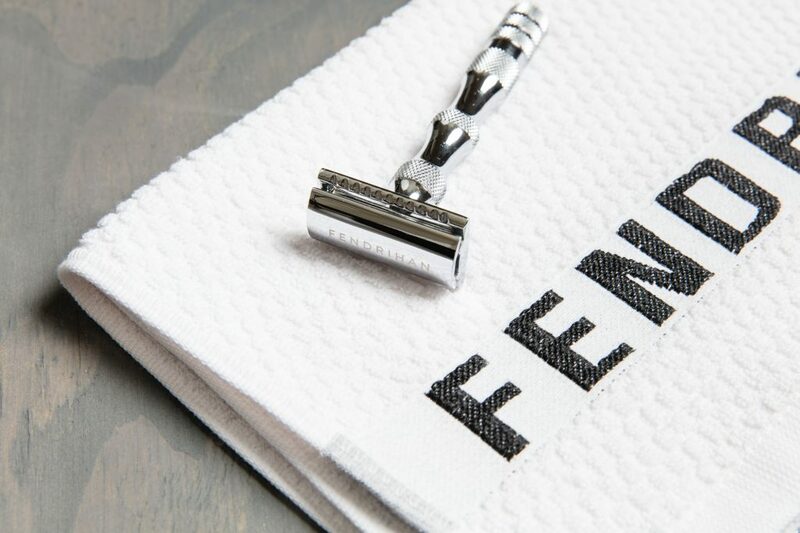 After shaving, remember to rinse, dry, and store your razor for safekeeping. Skin around the chin and along the jawline is quite sensitive and shaving these areas requires extra patience. 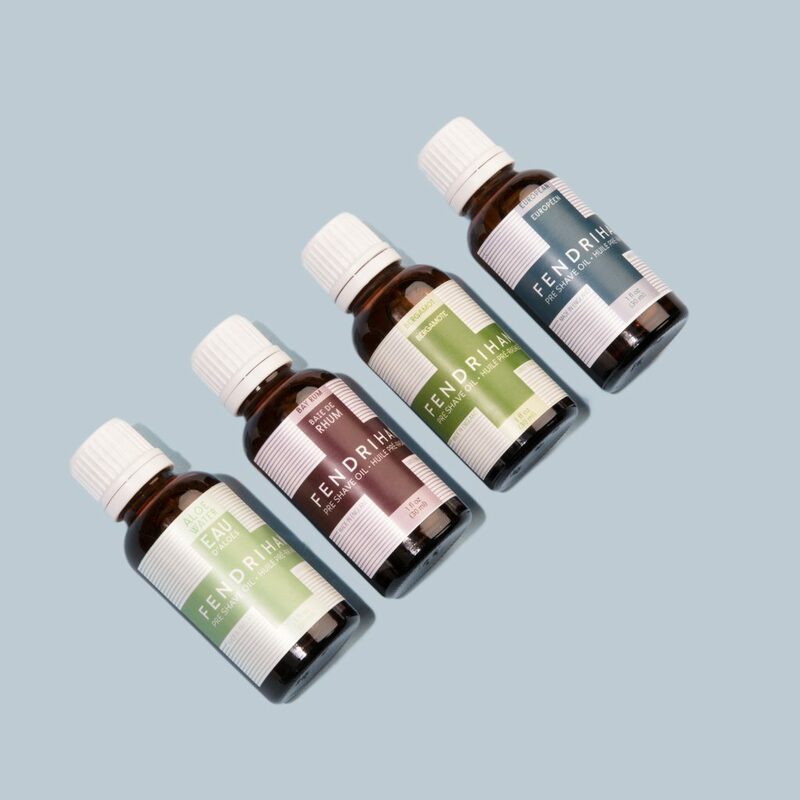 It’s also a good idea to have a styptic pencil, alum block, or other type of antiseptic handy to calm and disinfect irritated skin in the event of a small nick or cut. Don’t be discouraged if it takes a bit of time to perfect the technique; when it comes to wet shaving, practice truly does make the process perfect. 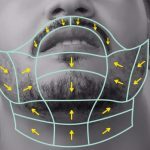 How do you shave under your chin and other difficult areas? Comment below to share your method. A good advice about shaving under the chin is not to forget to follow the curve. The 30-degree angle should be maintained all the way.